To those who r wondering on whether they should start reading it or not, I'll just say one thing, "Seeing is believing"
Before I too was in delimna on whether I read it or not. So I started reading reviews on this one and boy those reviews came as a thunderstorm, I lost count of how many hateful reviews I read. But Hey, I said to myslef, "Meh, I'll read the first chapter and then decide for my self." Another ripoff by IET of his own previous work. If you have read one of his novel than you have read them all! 2. MC' father would be strict. MC would strive for his affection. 3. The clan has suffered grave injustice in every novel. MC would always help his clan achieve revenge. All the times revenge is focused on his mother's enemy. Yeap... Coiling Dragon, Stellar Transformations and now this novel. 4. How could normal measurement be sufficient? Everything has to be exaggerated. Trillions of worlds, Millions of km territory, thousands of kingdoms, 100 km giants... why? Do they serve any role? Nope! Just plain stupid exaggeration. 5. Descent of 0IQ arrogant enemies. Every enemy is same. Author would like to say that the enemies are smart and cautious but at the end they are plain idiots. 6. Stupid love interest. God I hate the romance in IET's works especially after reading Stellar Transformations. This book is also pretty much same in that regard later on. That annoying girl serves his motivation for powering up! How genuine! This novel is a very well polished IET novel. I like it, If I wanted to share CN with someone who has never read it I'd pick this as a great intro. So lets get it out of the way and say this novel does nothing revolutionary when compared with IET's other novels. However, revolutions do not always end well or for the better. He has mastered the incremental improvement. We have a reincarnated protagonist that ended that way because he was lucky enough to be at the crossroads of death when... more>> a larger (plot-relevant) events shunts him off course and into the beginning of the story. He reincarnated with his memory and proceeds to be a well-balanced MC. Except for the occasional bouts of "VENGEANCE, KILL KILL KILL, CHOP CHOP CHOP". He is a relatively level headed main character who develops in a nice steady way (as much as any genius can). There is an established Karma system set up that means if you kill evildoers/do good you gain good karma and by doing evil you gain bad Karma. This can actually be used to cultivate by some and the concept is taken so seriously that Empires take heed to accumulate good Karma using different means. It also gives a reason why the MC can be righteous yet rain fire and brimstone on his enemies without karmic reproach. The thing I like best about this novel is the beautiful expressions of the Dao IET manages to convey in his characters abilities and powerups. It adds a great depth to his standard linear power setup. The Dao domains are a brilliant example of how simplistic concepts like rain can be made into a terrifying force or a beautiful attack. In fact, I'd say the battles in general in this novel have been well-written and brilliantly translated. It reminds me of how ATG draws people in with the same ability. I hope that is not lost as the scale increases. Edit: At this point the MC has become so powerful that a lot of the small scale intricacies and description have now been lost, which is a shame. The abilities are still interesting but not much different to stuff you could find at the end of Coiling Dragon. This novel does a *better* job of not forgetting minor character immediately but it still falls victim to the power creep effect where people simply lose their relevance as the MC grows in power and influence. However, IET does put some effort into making the characters relevant and fleshed out while they are there. So far the MC has collected a nice gaggle of loyal, likable and powerful friends and I hope they stay part of the plot later. His enemies have so far escaped the trap of being one-dimensional, not that any are super intellegent by any stretch. On the whole, to me, they are nothing to write home about. Others might disagree with me given how linked some of them have been to the plot and the familial struggles the MC has gone through. In terms of the Romance in this novel, it's OK. At first it was 'meeeeeeeeh' then 'oh, that's reasonable and mature' back to a rushed 'meh' to me. But then again it's still developing and it's IET. All you non-harem shippers will be having a hell of a time ramming every harem hopeful in sight. Edit: (mild spoiler) Honestly I'm really disappointed by the romance in this novel. It's IET so my expectations were low but the main heroine is incredibly unlikeable or at least inspired no interest in the time she was actually a relevant character. Yet she becomes *the* main driving force for the main characters actions throughout the entire story. This result in he reader being entirely uninterested in his burning desire and goal making the decision he makes to reach it seem just bumb or misguided to me. This review will be quite controversial. I have read every popular IET novel I could get my hands on. How Should I say this.... The Desolate Era looks, reads and progresses like EVERY OTHER IET NOVEL EVER. There is ABSOLUTELY no divergence from other usual IET novels like CD, ST, Lord Xue Ying and so on. If you have read CD or ST then by volume 20 or so you will start to see some tremendous similarities to CD or ST.
Objectively speaking only talking about Desolate Era, it is a decent novel till volume 11. Afterwards, it starts to become boring. The fights described in the novel are poorly done with just bang bang sfx and no imagination put to them at all. Secondly, there is lack of any proper story. And readers will start to feel this towards end of volume 24. Volume 24 is when the civil war in Grand Xia Dynasty ends. After that till volume 42 (till what I have read), there is no substantial story AT ALL. Its just usual progression with no real substance. The MC only wishes to resurrect his lover. But for this to go through 20 WHOLE volumes with 30-35 chapters in each volume is asking too much from readers. This is one of the flaws of all IET novels. They are usually too long with story development happening too far and few in between the chapters. This happened in Stellar transformations, Coiling Dragon and Lord Xue Ying. Plus, if you have read other IET novels that you will know that all the MCs are interchangeable. There is no difference in the personalities of MC in ST, CD or any other IET novels. I've got to say, while I really nomally love IET's other works, this one just came off as unpalatable for me. In as much as it started off really well with a protagonist that was at least morally upright, it quickly went down the gutter. The first thing that made it a no no was that while the MC was previously described as a saint in the previous world, the moment he came to this new one, he became a sh*tbag hypocrite. I have no qualms with protagonists who are not... more>> good. In fact, in the right circumstances, I have no problems with protagonists who are evil, however when you go about making a protagonist who kills everything for no reason whatsoever and still brand him a saint, then you should know that there is something wrong with you. For example, when the MC came into this new world, even after seeing slaves he was just like "ooh, whatever". 'Ooh whatever?' You were a saint from friggin modern day earth what the hell is with that kind of reaction. More so, what makes it even worse is that a few chapters later the author comes up all in our faces like "Ji Ning had come to develop a calm and benevolent soul as he had been meditating to the *spoiler* since he was born. All in all, the hypocrisy and double standards in this one is what ruined for me. Other than that, I am pretty sure that those of you that are numb to such things will enjoy the story pretty well. +Great writing which doesn't get boring or needlessly complicated. +Detailed world building (though the author does tend to hyperbolize a lot of details). +The main antagonists have some depth to them... more>> and they don't just go around thinking they are the center of the world, most immortals don't wish to throw away their life. The ones that do are a very small minority and when they realize the difference in power they either try to escape or plead for their life, differently from most other novels of the same genre where they would just refuse to accept reality. +Most minor characters aren't forgotten and they re-appear, albeit shortly, constantly during the story, while in other novels they just disappear completely. +Most of the characters have an actual backstory. +The protagonist cares about his clan and doesn't go around forgetting them after he grows powerful, he constantly returns trying to improve it. +For me at least, the protagonist has a great personality. *Neither arrogant nor annoying. *Intelligent. *Realistic. *Mature. *Loyal. *Level-headed/equanimous. @Delroy I really have no clue where the protagonist was branded as a "saint" in his previous or current life. He wasn't some sort of holy man who went around the world helping every person he saw or something. He was ill all his life and was stuck living locked in his room, so as to pass time he started earning money online. Then, because he knew he was going to eventually die and his parents were already rich, he decided to give the money he earned to charity, saving a lot of lives. While that makes him a good person, that doesn't make him some sort of saint who embodies the seven virtues and goes crazy the moment he hears an injustice being committed, or else everyone who has donated money sometimes in their life to charity is a saint. I have read all of IET's translated works and this is the best one so far! Main character Ji Ning is one of the most calm, cool-headed protagonist that can be found. He is neither servile nor arrogant and treats everyone with due respect. (Unless they're asking for it, in which case it's whooping time.) He get's OP pretty early among his age group, but that does not mean that he can, as Chinese say, "show disdain to all creations" yet. Action scenes are described in a very intriguing way,... more>> you won't get bored reading a couple non-stop action chapters. World building and power system is fabulous! As it is IET's forte. Romance... Well, it's acceptable. It has clearly improved from his previous novels by a large margin... so that's a plus from me. Plot is very slow and bland. First 2 volumes spent on describing how the MC trains every day to become the most OP character ever. Training is very boring and the details are not useful. Fantasy magical training techniques are neither relevant to real life nor interesting to read about. Volume 3 finally has the MC moving out of his house but is also filled with boring stuff like random people getting eaten by monsters only to be saved by the MC etc. Very repetitive and boring. The author's lack of creativity is palpable. The world is so small, filled with so few interesting things, that after 3 volumes, all we've gotten is scenes of the MC training and beating up monsters and bad guys getting in the MC's way. That's it. Just practicing skills and beating monsters and encountering bad guys for 3 volumes. Even Alice in Wonderland was more interesting than that. Bland characters. Spring Grass and Autumn Leaf are almost identical. You could not tell them apart - in fact, almost all the female main characters including the MC's mom are almost identical to each other. The female characters are only capable of worrying about the MC whilst the only emotion that male characters are ever capable of experiencing is anger when things don't go the way they want. One wonders what's the point of having so many characters that are completely identical, if not to have some of them die for dramatic purposes. MC's dad is a bland and boring character. There is not a single quoteworthy line from the entire novel. For all the "cold" talking he does, he never once utters a single line that is actually cold. Not even something like "Love is poison. A sweet poison, yes, but it will kill you all the same.” (quote from game of thrones - not a novel that I enjoy but at least it's better than this one). Nope. All of his lines are literally just plot exposition or (like all the other characters in the story) expressing his shock at how awesome the MC is. Even Terror Infinity had interesting characters, like Xuan, and those were just cardboard cutouts! Certain characters are only there to make us feel bad when they die. That is their one and only purpose. Spring Grass for example. One might make a reasonable argument that if the MC truly cared for her, he would have never sent her away. In fact, if the MC truly cared for anyone then he would just leave them at home where they would be protected by multiple xiantian lifeforms instead of sending them away to some remote unprotected village just so they can get abducted and raped to death by some random bandit/monster/whatever (it's worse in the novel because she actually committed suicide to "save face" so the MC doesn't have to find out and get "ashamed" of her, what flawless reasoning!). I mean, random monsters appear all the time in this world, so it seems like it would be common sense for you to leave important people at home, where they are most protected, right? I get that the MC has to risk his life on adventures, but does he have to risk OTHER people's lives as well? People that he cares about? Compare this to the MC in Path To Heaven (a MUCH MUCH better written novel than this in all aspects I must admit). The MC in Path To Heaven actually thinks about protecting his women (as well as his other assets), comes up with well thought-out plans, doesn't take unnecessary risks, and all in all is just a better MC period. I mean yes the MC in Path To Heaven was born in his world so he's naturally more street-savvy but the idiocy shown by the MC in this novel really is inexcusable especially given how he's supposed to be super smart due to his strong soul etc. Seems like the MC in this novel can only do 2 things: take stupid risks and then vow revenge when people close to him are killed due to his stupidity. Much like most xianxia novels in that those xianxia protags seem to never go beyond revenge to deeper self-reflection on what they've done wrong and how to fix stuff. They are only capable of going on revenge trips. That is their one and only trait. Lack of real character development. MC keeps saying how he learns things from the events he experience but he never actually learns anything other than most OP skills. He neither has the guile of Chu Yang in TTNH nor the caution of the MC in Path to Heaven. Says he spent 3 days preparing for his trip to kill deadly dangerous diremonsters. Really? Only 3 days and you skip all description of the preparation? Might as well have just packed some extra clothes for all we know. Immediately runs off to get revenge as soon as an enemy offends him, just like his father. One wonders how these morons haven't gotten killed by an ambush yet. The MC is "awesome" and the author never holds back on any opportunity to beat us over the head with this fact. First he was luckily given the most OP visualization technique which makes his soul super strong then he's given the most OP body strengthing technique and then movement technique and sword technique and blah blah. It all gets quite tedious. Does the MC really need to always happen on the most luckiest of situations? I'd love to read a CN webnovel that gives the MC a cheat just once, at the start of the novel, and has him have average luck through the rest of the story. It's really tiring to read a protagonist always have godly luck every single time, making breakthroughs in the middle of battle and all that. Quite annoying. This was a problem with FLTX's TTNH as well but TTNH made up for it in other ways, such as having characters that are not completely bland (although still stereotypical) and a story that actually goes places. In Path To Heaven the MC fights several other guys who obtained more OP items and skills than him and still wins because of superior battle tactics and foresight. The MC in this novel (so far) has won literally all his battles via brute strength and OP powers. He even falls into Ironwood Zhan's trap and still wins because of his OP powers (OP visualization technique, OP body refinement technique, OP movement technique etc). tl;dr All characters are bland and boring, nothing interesting happens,... more>> forced "sad" moments caused by MC being an idiot. There's no getting around the fact that IET is a bad writer who frequently tells instead of shows, shirks characterization, and has a tendency to shove aside non-main characters when power levels grow. That being said I'd still take him over 99% of the other xianxia/xuanhuan/whatecer writers being translated today. Even when his web novels fail as actual novels on many levels they're still enjoyable as an encapsulation of a mortal cultivating to immortality. The best things about this novel are, it has the most humble MC. MC has no harem or pervert thought, not selfish, have great responsibility towards his clan, have great loyalty (even enemies have loyalty towards themselves), have great ambition, hardworking, it is hard to find flaw from his personality. Honestly I've read quite a few Chinese xianxia novels and imo this is BY FAAAR THE BEST! And I don't I'm quite stingy in rating things, especially novels. Very well written and extremely well translated, obviously even if it's written well, if it isn't translated well then it's useless. The pace of the story is great and really builds up a solid foundation for the MC as well as those around him. I highly recommend this to all people who have yet to be bewitched by this amazing novel! just before Ji Ning leaves the Fuxi... galaxy? Desolate Era manages to both improve upon and be a totally unimaginative instantiation of I Eat Tomatoes works at the same time. His family actually dies in this one, and there's an actual sense of his loneliness and the sacrifices he had to make. However, I don't know whether he resurrects his family in the end, which, if he did, would almost make me want to deduct a star from the rating. The martial arts are much more picturesque and enjoyable to envision and think about, and there are elements of psychology interwoven within them, giving them a little more flavor and meaning, and reminding somewhat of Linley's training voyage in CD, the best section of that novel. Ji Ning's first girlfriend actually ISN'T his one true love, which is nice, although his second is. Some scenes manage to impart a sense of tranquility and grandiosity that in his other works have totally fallen slack. There's really a lot of good to say about DE, especially the first quarter or so. It ends up being a lot more of the same sh*t. Power divided into levels, absurd deus ex machina, a continual unveiling of power levels and absurd increases in scale. IET brings back science fiction elements into DE, except even more egregiously. The whole Chinese pantheon is actually just a bunch of scrubs in some weird larger universe rife with kooky aliens and spaceships. This totally butchers the fantastic and mythic qualities of DE and makes it another kooky entry into an already kooky bibliography. As I said in my review of Stellar Transformations, there's nothing inherently wrong with a spatial setting, but it undermines the spirituality and aesthetics already present inside the novel. Chinese mythology has a broad set of associations, mixtures of bureaucracy, profundity, awe, and quaintness. Having the Jade Emperor going out in squads with his bros to another planet to do battle with googly-eyed aliens is one of the most absurd and cognitively dissonant ideas I've ever heard! The fact that not only does this occur, but all of the Chinese Pantheon is parameterized in a levelled system of strength, power, and ability, totally demolishes the ambiguity and mysticism surounding them. It's to the point where even *karma* is stratified in the novel! Anything by IET is fantastic and this is probably my favorite work of his. The scale that DE has compared to his other works feels much more vast, and the world building feels much more fleshed out than some of his other works. Easily one of my favorite reads right now and one I look forward to on a daily basis. If you haven't picked this one up yet, just do. IET's an absolute master when it comes to xianxia and it's remarkable how he's able to pace his story... more>> so well given the chapter to chapter release format. If you like IET's other works and are looking for more of the same, then you'll like this. If you're looking for something original or different or with any sort of depth, read something else. Top three on the site. Decent plot. Best action. Slow but decent romance. World building is top notch. Fighting is drawn out, but the author still makes you care. Highly recommended. The Desolate Era is a poor man's Coiling Dragon. It follows a rough script that is very close to CD : The MC starts in his family domain, then moves on to deal with stuff to a larger part of the world, then moves on to another bigger part of the world until he moves on to other even bigger worlds. In CD the events in the story are more personally linked to the MC while in DE they tend to be a little more global though (conspiracies, global wars and... more>> such). The personal objectives of both MCs are the same though. The beginning is quite good, the world, story, characters are grounded and developed. The characters are substained through the whole arc and they have personalities and are used quite often. That arc is about the MC's family, their dvpt and survival, about the different family members and the external danger the family faces. We hurt for the family when it has setbacks and are happy when they manage to get out of a pinch. We can follow the family's progress and territory gain and so on. This is the best part of the novel for me, it felt inspired... prepared, and gave a good "feel" to the novel, it is the only part of the novel that is very distinct from CD, but it only last a few volumes and then it all goes down hill. After this part the author pulls out his usual stuff, meaning the MC is always moving on to other "bigger" places with more powerful people. And he is getting stronger at an unbelievable pace compared to the rest of the world. This means every single friend he makes is left behind because the author can't justify another character progressing even a tenth as fast as him. So the MC makes friends, gets stronger and we forget about the previous batch of friends and welcome a new one... for a few chapters. And this is the first big problem for the novel. The author drops a lot of things he started. Because the story was either not well prepared or it is just childish writing. Maybe a schedule too tight for release and he didn't have enough time to prepare? Perhaps he used this novel to try out different things ? But then why drop the interesting part and keep the generic ones? The MC joins a new school, he has the right to bring a dozen or so people as his entourage, those people will have the chance to learn some stuff in the school. This is something that is mentioned quite a bit, the MC will think about who to bring with him repeatedly, but he will never complete the list and the people that are brought as his entourage will each be showed off as if they are special they have ambitions, plans and it seems something is about to start with them... but then will be forgotten a couple chapters later and never be brought back ever again... because the MC has already moved on. The MC makes a very important friend that belongs to a very important family and is quite close to him, the story around him and his family seems to gear up for something special until it fizzle out and is just forgotten. The MC purposely gets close to a family that is enemy with another he wants to get revenge on... There is one scene with them, and again even though the characters he met there seem "special" as they get quite a bit of screen time and are described vividly... they just end up forgotten. The MC will take on a disciple. This is a huge thing for a character in that world. The disciple has maybe five lines, is forgotten after 2 chapters and brought up only once 15 volumes later in one paragraph). Weapons and tools can have souls when powerful enough and this is shown quite often, they will talk with the MC before being "bound" to him, will test him, tease him, challenge him, but as usual this is contained in one chapter and even though those tools/weapon might get used quite often, the fact that they can manifest a personality is forgotten. And so on. I've got so many example of things just "dropped" it is unreal. But some are just too spoilerish even for being in a spoiler tag so I'll hold off here. In Coiling Dragon the author handled this better. Even if the MC did leave behind characters, his close friends, family still kept in touch later on and he had someone following him for the whole story. There is nothing similar here. Every one is left behind and forgotten. This story is solely about the MC, there is no "side characters" only background characters. They are all disposable and this story is about the MC's progression as a martial talent no life long friend, no rivals... Everything and everyone, family included, gets discarded as the MC goes further and further. The second big problem I have with this novel, is that the sense of scale is absolutly and completly messed up. In CD you could somewhat imagine how the world and continents where made up. "Yes that capital is in the north" "that forest is east", there is a mountain chain between this country and that one, this empire is north east and so on. There are actually fan made maps that were made because the world is a cohesive place. Nothing like that here. After the family arc, the descriptions (for places, fights or pretty much anything described) are so unclear that it is very hard to understand what is going on, or where this place is relative to where he was. You can only imagine a fuzzy blob for each place without any idea where it is relative to something else. It's even hard to imagine what the actual place look like because descriptions and scale are all over the place. The author seems to think that "bigger is better". So city gates are 3000m wide (! ), cities can be thousands or even dozen of thousands of kilometers big. Swords can become 40 000 kms long when attacking (stretching from their initial 2m in length), some enemies are multiple kilometer talls, the MC can reach half a kilometer in height when he "transforms". Hand palms can get as big as entire worlds (millions of km large)... There are so many ridiculous things like that it just gets ridiculous. When the MC and an ennemy transform into the same 500m high shape to fight in a cave... how can you imagine what is going on ? How large is that cave to allow such titans to fight freely? The same logic is applied to time. The MC will meditate for a 100 years non stop. After a certain fight an ally has to rest 1 year to get his energy back and so on. Which is why in the end I just "adapt" what the author tells us as almost everything is exagerated in a similar ratio. 40 000 km long sword? I read it as 40m. He meditate for a 100y? Oh you meant 100 days. 1 year of rest? More like 1 day. Why is there a need to stretch time and space that much? Especially when the world around it doesn't seem to change much... If the MC leaves for a few hundred years (let's say 600) and comes back... The characters he met... have not changed. That 10 year old child? Still acting like a child. So what's the point? The author gives the MC a skill that make him 500m talls... But every one else has it in the world... So in the end, what's the point of it? Every fight is him and the other using that to get giant... So again... what's the point? Everything is so exaggerated that you can just scale it all down and it makes it more interesting because you can actually imagine it better that way. This brings me to the third big problem. The author probably tried to do something different for fighting but put himself in a corner. He tried to put more importance in formations and skills that alter the body. In this novel it's not that the MC is stronger so he can take more attack because his body grows with him, it is mostly because he has a special defensive skill. This is fine until it forces the author's hand to choregraph the fights in a particular way. As mentioned before the MC can transform himself to get taller, get more arms and so on. This is a "comon" skill in the world. So everyone has it and everyone uses it because it gives you an advantage over someone that doesn't. So you know the fight is not serious if the MC doesn't transform... But the MC won't use it on someone that does not have the skill... He is a hero after all, he can't fight as a giant against a small ennemy. So every ennemy has it... So in the end they will fight normaly until one is loosing and will transform forcing the other side to do so... The power balance will remain unchanged... The author can't remove the skill because it makes the MC more powerful and can't possibly explain why it is not used anymore, so he is stuck using it. It's the same with formations. This word has a thing called battelformation where people "fuse" to make a giant with one character at the center commending the formation. This more than multiply the power of each character and gives you the strength to fight against oponents one full grade above you. So after a particular point in the story every single fight is done through those formations... Because same as before, if the ennemy uses it, the MC can't cope, if the MC uses it, the author makes sure the ennemy is using it or it seems unfair. So people walk around with hundred of thousands of people ready to use the formation at any time... Which in the end begs the question... Since it cancel each sides' advantage... Why bother include this in the story then? Once the MC starts accumulating more stuff that every other powerhouses in the world have... combined... it gets a bit unbelievable. That lucky encounter that changes the MC's life in most Chinese novel? Is replicated at least 200 times in this novel. There are other things that bother me and make this a subpar novel. The main ones are listed above. The lack of consistency in scale, the fact that there is not one character that will consistantly be present beside the MC, the constant need to reset the setting and cast by having the MC move to other places... The way too lucky MC... Those are the big ones. An exemple of a smaller complaint would be that the novel has no heart after the family arcs. It's just generic. In CD Bebe, being the rascal that he is, helped making the MC interesting, Delia following the MC also helped quite a bit, it added a tender and sweet touch to the MC, he would have been too plain without them. In DE there is nothing that follows the MC to make him interesting or fun here. He is not funny by himself, he is not particularly special, he is not even as hardworking as the MC in CD, he is just a sad and alone guy. In the end this is not a bad novel even though I have fixated on a lot of bad points. But it is a let down from IET and a let down after the start. It felt like it had a lot of potential and it ended up wasted by either poor planing or an author that didn't know what it wanted to do with the story. But like every IET novels this is very readable. It is for me between mediocre and good, but very very readable. If you are looking for a similar novel... but better. Coiling Dragon is for you. Best IET novel I've read but that does not say much as IET is a bad author, in true IET fashion the starting books are good and as the MC grows in power he loses his character and the plot is centered no, the plot IS revenge nothing deeper nothing better just edgy teen stuff. 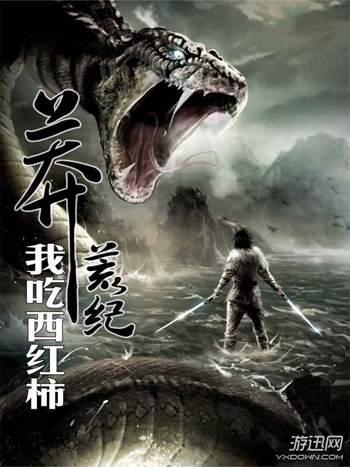 After Coiling Dragon and Swallowed Star, the author IET give us another great novel with a story line much more rich. He gave more personality to the MC and secondaries characters. I cried sometimes, I laugh too but most off all I was exited to read the next chapter as soon as possible! So go read with me and like thousands before, this great story to enjoy your time. I absolutely love this series. It is in my top 5. I actually enjoy most of IET's works. Coiling Dragon is my favorite (also the first xianxia I read). This novel has a lot of philosophical elements, it has cultivation, a strong male lead. I think the worst parts are actually the "fight" scenes, which is actually not even what I read or look forward too in this story. I love the plot, the constant improvements and the other characters that get introduced. I especially love the philosophical insights even... more>> if the author doesn't touch too deeply into them in this novel.